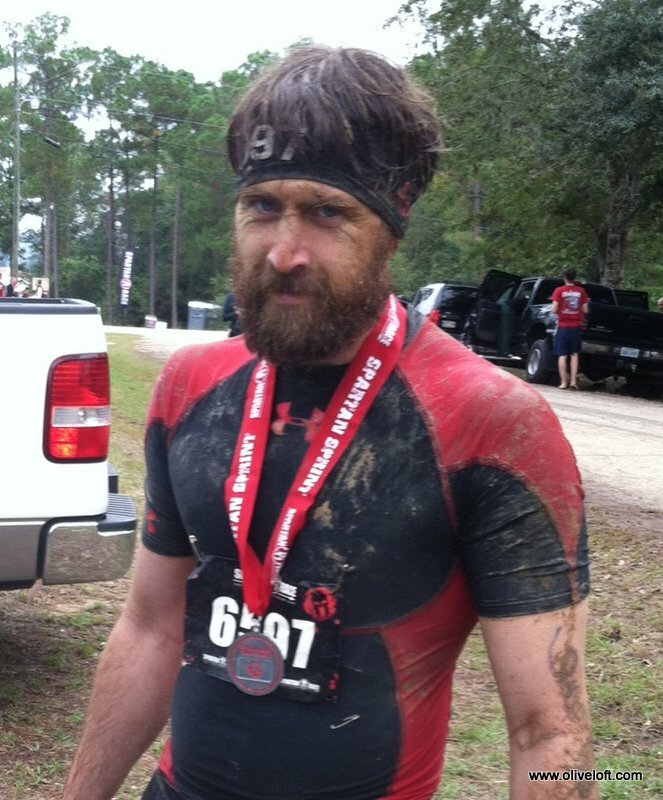 My wife and I ran in the Spartan Race in MS on Saturday. We had a wonderful time crawling through the mud together. Running the race as a team was the right choice; we needed one another to get through certain obstacles. The Spartan Race was set up better than the Warrior Dash, in my opinion. The obstacles were harder, and utilized different skill sets such as a spear throw. I was surprised at how easily I handled the strength events. Working in my asphalt plant for so many years has made me strong, apparently. I am ready for an obstacle run that doesn’t rely so heavily on the element of mud. I have been looking at this run, the alpha warrior http://www.alphawarrior.com/. The Alpha Warrior is next on my list.
. . . friendly-looking . . .
You look like you eat your beef straight from the cow while wrestling a python. Very. You are a man of men.